Translated from Tamil into English by Geetha Sukumaran. 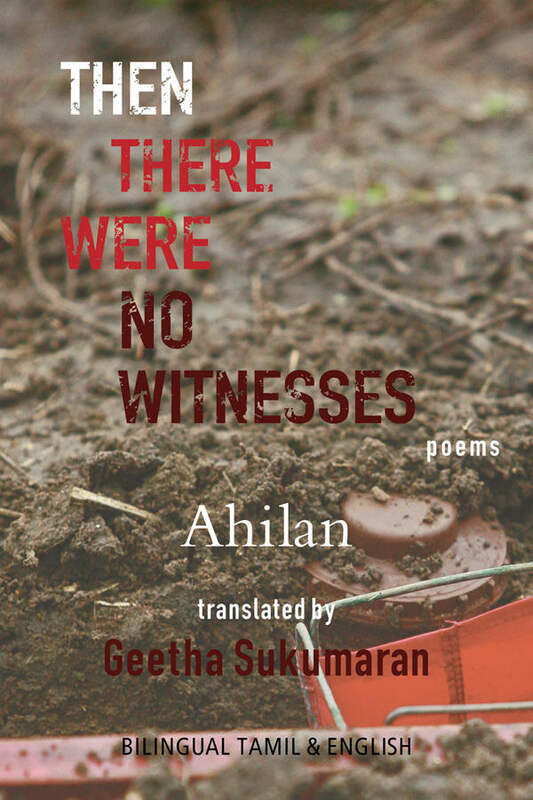 In recent times, Tamil poetry from Sri Lanka has taken a new turn, serving as a countermemory–a witness to torture, loss, trauma, and exile. Ahilan gives us a unique voice and style, in which he expresses the trauma of the violence in Northern and Eastern Sri Lanka with great nuance and subtlety. His background as art historian has allowed him to blend the 2,000-year-old Tamil cultural, literary, and philosophic tradition with visual, graphic imagery to create a rich and distinct body of poetry. Ahilan was born in 1970 during a troubled period in Sri Lanka. He has published three anthologies of poetry in Tamil. He is a senior lecturer in Art History at the University of Jaffna, Sri Lanka. Geetha Sukumaran, a poet and translator, is a doctoral candidate in Humanities at York University, Toronto. She holds an MPhil degree in Tamil literature. Her research interests include contemporary Tamil poetry, women’s writing, trauma literature and translation. Her current research focuses on the literature and oral narratives of women from conflict zones that connect with culinary practices, war trauma and religion. Her Tamil translation of Sylvia Plath’s poems was published in 2013 and her own poetry collection in Tamil was published in 2014.